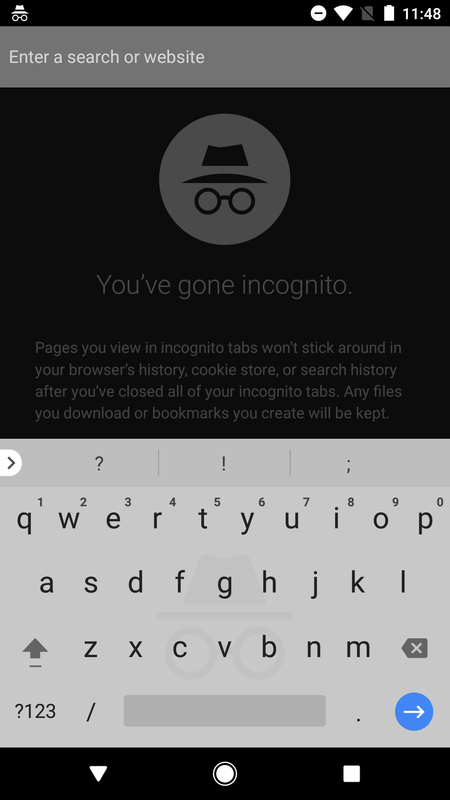 It turns out that Chrome 59 actually supports incognito mode as well, meaning that this feature is further along than we'd initially thought. Thanks, Guest. 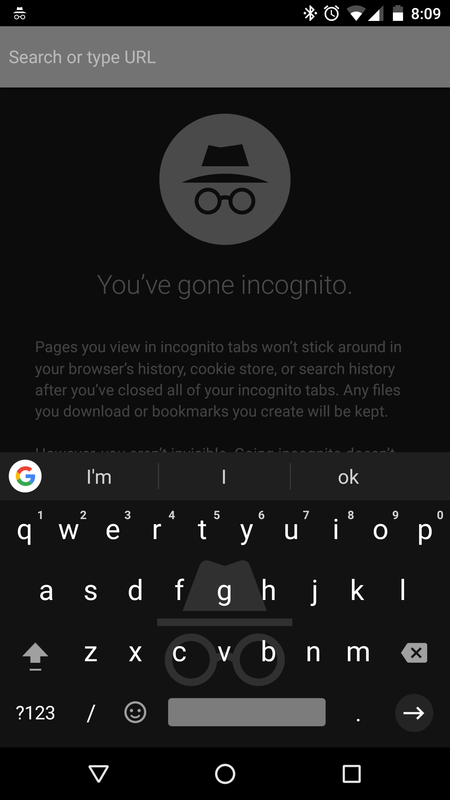 The trademark incognito graphic currently only pops up on Android 8.0 O DP3 in a Chrome Dev incognito tab. 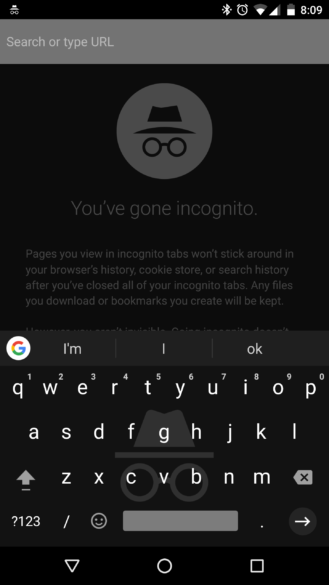 After quite a bit of testing, we concluded that previous versions of Android and the regular Chrome app in incognito did suggest words based on what you've typed, but we couldn't get anything typed in Chrome Dev with incognito to stick on O. 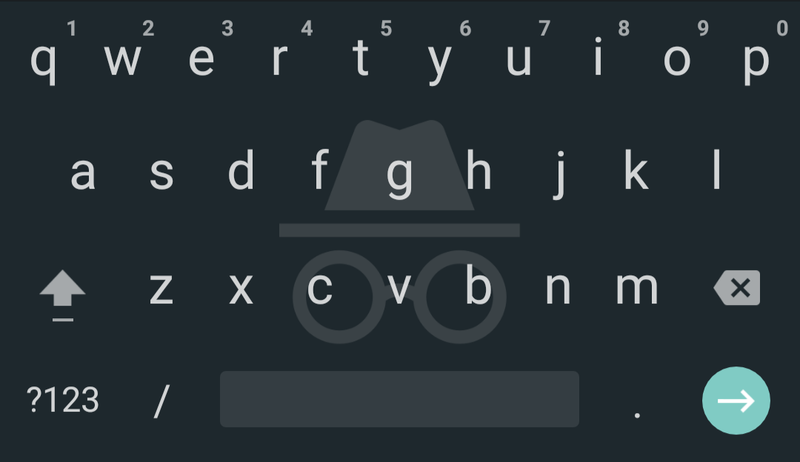 However, we're not seeing anything in Gboard's settings, despite an 'incognito mode' string being found in one of our teardowns from April. It's important to keep in mind that this feature hasn't yet been finalized; after all, this is still a developer preview, and it's only showing up in Chrome Dev. We wouldn't be surprised to see more details on this pop up as the official launch date of Android 8.0 approaches. We'll keep you guys posted on whatever this materializes into. Weekend poll: Does your phone have a USB-C port or microUSB?